Short Summary: Episode 37 is extra special. We have a guest we’re both totally fan-girl’ing over. She’s incredibly insightful, intelligent, and real. Her name is Tiffany Louise and she is a professional coach, speaker, and author, and is a licensed clinical social worker. 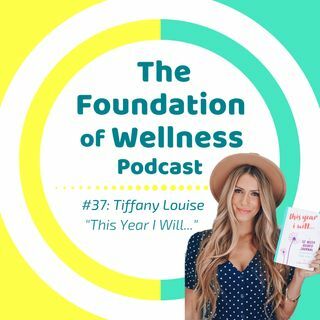 In this episode - Tiffany talks about her new book: This Year I Will...a 52-week guided journal to help you achieve your goals. She also shares her definition of success [it may surprise you] as well as the one thing she ... See More considers to be one of her greatest health practices and the thing that has improved her quality of life tenfold. Disclaimer: Consult with your doctor or functional medicine practitioner before trying any of the remedies or protocols mentioned in this episode. Jessica Dogert and Marisa Moon are not physicians or medical practitioners. This information and recording is for informational and educational purposes only. What exactly is the "Ego"?